Websearch.com is the PUP that uses misleading techniques to prevent removal. Use Reimage to locate malicious components and get rid of them faster than with uninstall instructions. A full system scan blocks virus reappearance and prevents traffic to malicious domains. WebSearch.com virus is an annoying browser hijacker  which pretends to be a legitimate search engine, tricks people into using it for their web search and collects data about their browsing. 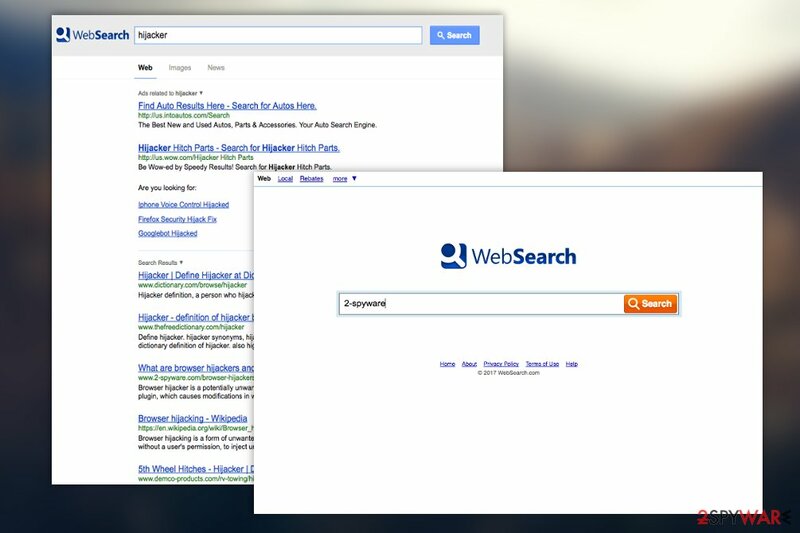 To be able to execute its predetermined plan, the Web Search malware replaces the infected browser’s homepage and assigns search.yahoo.com as the default search engine. Then these platforms can be used to promote affiliate products and services . In particular, the virus pushes users into downloading the WebSearch Toolbar extension. The Newark-based software developers praise this freely downloadable browser helper for its wide selection of useful features, including “thematic buttons, video downloader, weather plugin, RSS feed reader, route planner” and others. Unfortunately, the users who expect to make use of these functionalities are left disappointed. The toolbar as well as the Web Search engine are primarily designed to spy on the users, collect information about their browsing habits and then target them with ads and redirects, tailored to their interests. Luckily, at the moment of writing the virus seems to be focusing on Mozilla Firefox, Chrome Chrome and Internet Explorer browsers. Nevertheless, it would be naive to consider yourself safe if you use Microsoft Edge or if your computer runs Mac OS X and you browse through Safari. It only takes a few alterations in the virus code for it to be able to infect them. Needless to say, you must take steps to prevent that from happening. Reimage or Plumbytes Anti-MalwareMalwarebytes Malwarebytes will do great for this purpose. Besides with the help of these utilities, you will also easily remove WebSearch.com from your infected device. We should also mention that the extensive advertising may have some impact on the computer performance, too. The computer with a hijacker running on it may work times slower than their virus-free counterparts, which can disbalance system’s stability and may diminish the effectiveness security software. Besides, if the virus stays on the computer for too long, WebSearch.com uninstall may not be enough to banish all malicious components from the system. You should remember that other unwanted software and BHO’s  may have entered your computer along with the virus, so you will have to banish this component from your computer too, in order to achieve a thorough removal. WebSearch.com is a legitimate looking website with a nasty purpose -- user tracking. Do not trust its neat design and remove the program from your browser right away. Technically speaking, WebSearch.com is not a virus but a potentially unwanted program which does not need intricate techniques to infiltrate computers. It can be easily hidden within any freeware or shareware installation settings and install alongside these programs without asking additional permission. This typically happens when users don’t bother going through the advanced settings when installing new software on their computers and keep on mindlessly pressing the “Next” button to finish the whole process quicker. 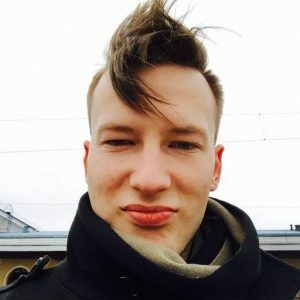 Such behavior is typical to the less tech-savvy users, whereas more technically advanced people know that software bundling is one of the main ways malware infiltrates computers  and thus are careful with new software installation. Everyone who wants to remove WebSearch.com virus from their infected devices has two basic options to go for. They can either get rid of the hijacker manually, i.e. follow a professional removal tutorial at the end of the article, or scan the computer automatically with professional malware detection software. 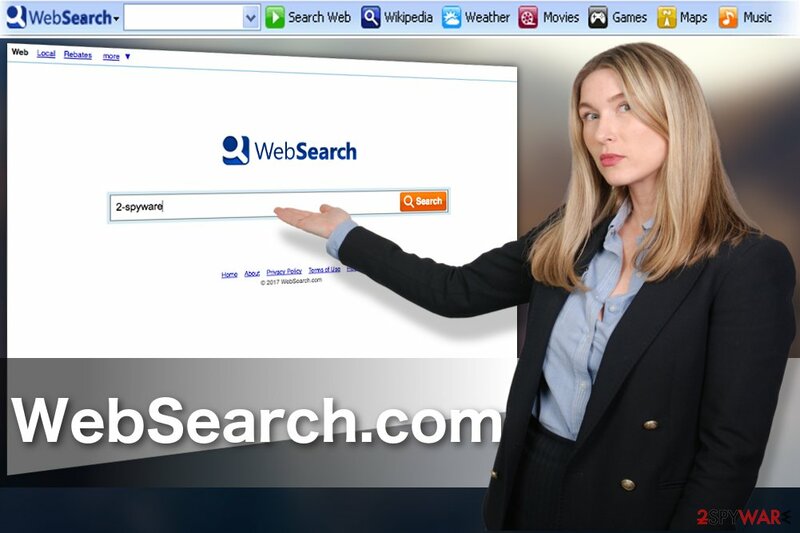 The benefit of manual WebSearch.com removal is the fact that the users can eliminate the virus for free, without having to install additional software on their computers. Nevertheless, automatic scan offers a quicker and more precise malware elimination. Here, look for Websearch.com or any other recently installed suspicious programs. Wait until you see Applications folder and look for Websearch.com or any other suspicious programs on it. Now right click on every of such entries and select Move to Trash. When removing WebSearch.com PUP from your computer, pay attention to the extensions installed on your browser. If they feature unfamiliar components, feel free to remove them. When in the new window, check Delete personal settings and select Reset again to complete Websearch.com removal. Once these steps are finished, Websearch.com should be removed from your Microsoft Edge browser. Browser reset is an important step when it comes to browser hijacker removal. Before you roll back your browser’s default settings, delete any suspicious extensions that may be installed on it. Here, select Websearch.com and other questionable plugins. Click Remove to delete these entries. Now you will see Reset Firefox to its default state message with Reset Firefox button. Click this button for several times and complete Websearch.com removal. Here, select Websearch.com and other malicious plugins and select trash icon to delete these entries. Click Reset to confirm this action and complete Websearch.com removal. Here, select Extensions and look for Websearch.com or other suspicious entries. Click on the Uninstall button to get rid each of them. Here, look at the Homepage field. If it was altered by Websearch.com, remove unwanted link and enter the one that you want to use for your searches. Remember to include the "http://" before typing in the address of the page. Now you will see a detailed dialog window filled with reset options. All of those options are usually checked, but you can specify which of them you want to reset. Click the Reset button to complete Websearch.com removal process. ^ Fix your hijacked web browser. Microsoft. Microsoft support page. ^ Loren Baker. Earning from PPC search engine affiliate programs. SearchEngineJournal. SEO, search marketing news and tutorials. ^ Difference between BHO and a browser extension. Microsoft. Official Microsoft support page. ^ Liam Tung. Google: Unwanted bundled software is way more aggressive than malware. ZDNet. Technology News, Analysis, Comments and Product Reviews for IT Professionals. This entry was posted on 2017-05-02 at 00:06 and is filed under Browser addons, Viruses. You can quickly scan the QR code with your mobile device and have Websearch.com virus manual removal instructions right in your pocket. How did you remove Websearch.com virus?